While we may be able to recite Marvel plot lines backward and forward until the superpowered cows come home, not everyone is an expert in comic books. To help rectify that situation before X-Men: Apocalypse premieres, 20th Century Fox is producing a series of shorts that give you a quick overview of the film's mutants. First up, Angel and Storm. While I enjoyed Angel's time spent serving Apocalypse in the comics and '90s cartoon (where he was referred to as "Archangel" for a time), it's Storm's video that I appreciate a bit more. 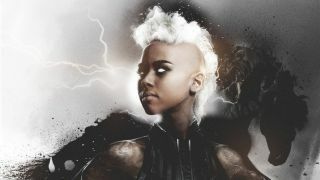 Audiences are likely aware of Halle Berry's time as the white-haired weatherwoman, so it'll be up to director Bryan Singer and actress Alexandra Shipp to sell movie-goers on this new version. Her featurette does a good job getting me interested, so that's a start.